This is an incredible opportunity to own a very private, custom built home on a beautifully landscaped .777 acres refuge on one of the best streets in Monterey. This gated, park-like setting has a light and bright single level 4 bedroom, 3 bath home with tons of interior volume. The 3678 square foot single level interior has modern craftsman style with an Asian flair. It features stone, wood, granite and other modern surfaces that are both durable and attractive. The windows are wood clad throughout the house and are plentiful, allowing plenty of light in and showing off the beautiful grounds and Koi Pond outside. 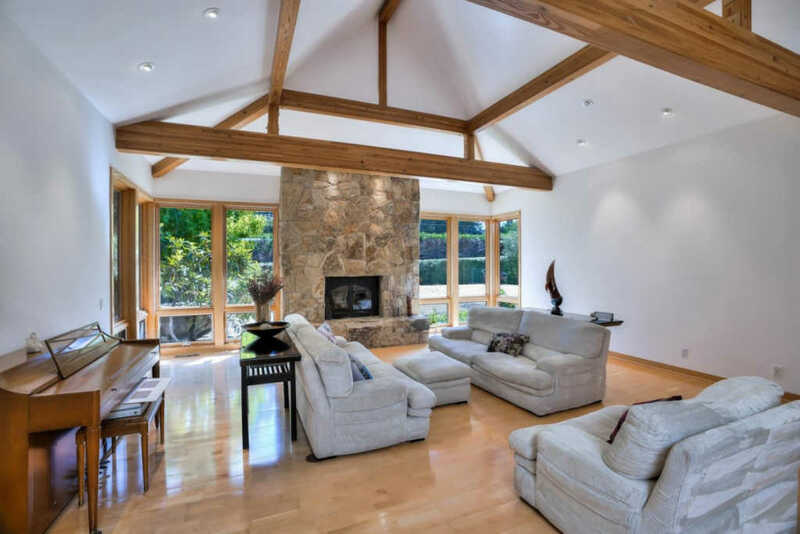 There are large exposed beams holding up the soaring ceilings in many rooms. 1320 Jacks Road in Monterey's Old Del Monte neighborhood is a well-built custom home located on a very exclusive street. Add this luxury property to your list if you love privacy and a large lot but still want to be close to all the action of downtown Monterey and the Monterey Peninsula cities.